Extraordinary mature singing by tremendous fourteen yr old Serbian singer Danica Krstic (born 25-11-95), who toured in The Netherlands only a month ago. ‘Preletese ptice lastavice’ is a wonderful song – drenched in melancholia – about the flight of swallow birds and sensitive matters. In the press she’s been called (Gillian) ‘Welch’s lost young daughter’ 🙂 Bluegrass-country-folk songwriter Sarah Jarosz – a Texan teen, born in 1991 – is still very young and a huge talent. 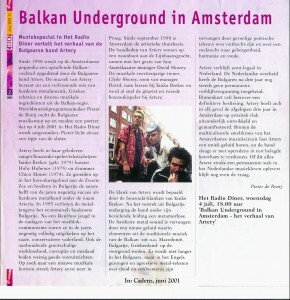 Her breakthrough album ‘Song Up In Her Head’, released in the summer of 2009, was now given a five star ‘top of the world’-review in Songlines (September 2010) by reviewer Rose Skelton who uses superlatives like ‘supertalent’, ‘fabulous moments’ and ‘exceptional piece of work’. On YouTube I found this track from Sarah Jarosz’s celebrated album, titled Shankill Butchers, a song she covered from The Decemberists. All the other tracks she wrote herself. Great to hear this new young talent. 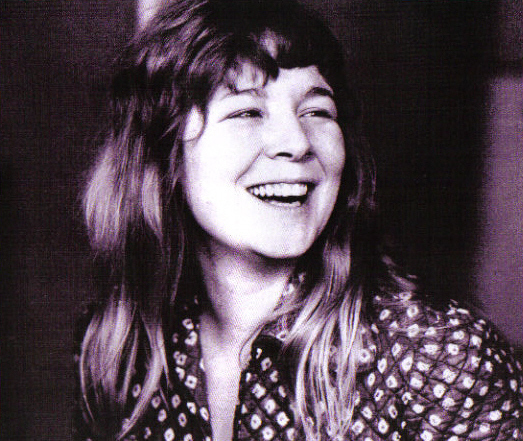 From early youth I’ve been a great admirer of Sandy Denny’s voice and music. She’s one of the most legendary singers in the history of english folk music. On April 21st 1978 she died at the age of 31, after a fall down of the stairs, now thirty years ago. She’s once more featured on De Concertzender in a special tribute-broadcast devoted to her work, on Saturday May 10th, in the entire late-night programme De Nacht, from1:00am-7:00am, dutch time (!). You can listen online via internet. For me and evry other devoted admirer of her work it’s a not-to-be-missed transmission. On De Concertzender-website there’s a complete playlist. Another fine example of the unique musical journeys brought to the listener by De Concertzender. If you’ll miss it you can always listen on demand afterwards. This is very simple, but if still not clear you can turn to De Concertzender’s ‘how to listen on demand’-explanation.